Summer time is filled with fun activities to do outside. But the heat can really make outings not so fun if you aren’t prepared for it. Here at Silverwood, we want our guests to have the ultimate experience in a safe way. With it heating up, we wanted to share our tips on ways to beat the heat during your stay at our park. We cannot share this tip enough. We do have EMTs on site to ensure our guests are taken care of, but we would much rather it if everyone stayed hydrated and healthy! We do allow empty, reusable water bottles into the park that you can refill throughout the day, or factory sealed, non-alcoholic drinks. We also have our Sports Bottles available to purchase as a souvenir. You get unlimited refills in this beverage container the day of purchase, and every day after that is only 99 cents! All of our water attractions are the perfect temperature to cool off in during a heat wave. If you know that it’s going to be really warm on the day of your arrival, it might be best to just head to Boulder Beach for the day. With two massive wave pools, thrilling water slides, children’s water features, VIP cabanas, and an endless lazy river, there are plenty of ways to fill your day. One of the coldest places to sit down at is the Theatre of Illusion. 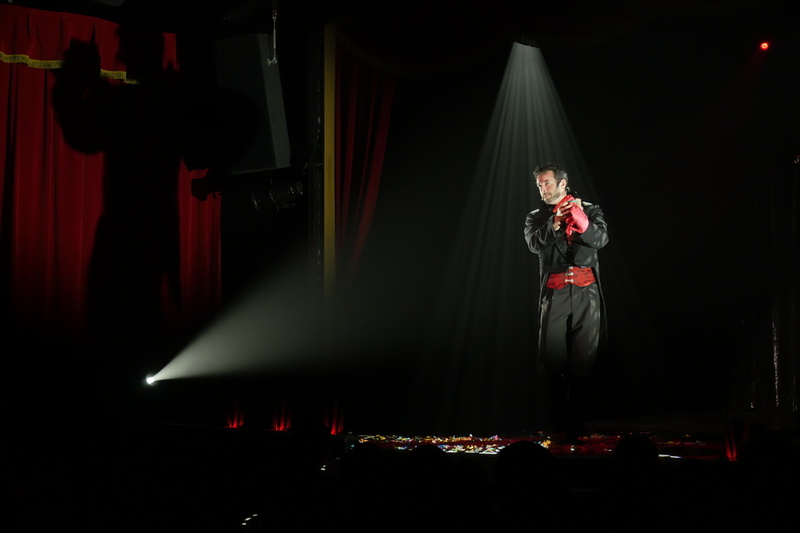 Grab a pizza for lunch and watch our award winning magic show starring Nick and Amanda Norton. Once the show is finished, you will be perfectly cool and ready to head back out for more thrills. You can even check out some of our rad games in the Arcade , located in the Country Carnival, to cool off or check out some souvenirs in one of our gift shops. A big part in keeping cool during the summer is planning ahead. Wearing sunscreen and a hat is a great place to start. The sun screen will keep you from getting burned, and the hat will keep you out of the sun. There is concrete in the water park, so we do recommend that guests wear water shoes on hot days. Just know that for your safety, you may not be able to wear them down the slides. Our Main Street area opens to our guests at 10 am. Getting here early not only gets you the best shady spot next to the wave pool, but it also gives you time at the park when it’s still cool. Coming to the park later in the day can also be beneficial when trying to beat the heat. If you visit in the afternoon when the sun is going down, you can ride the coasters at night, get a great discount on admission, and beat the heat. Check out our well known “single scoop” Cascade ice cream. This massive cone is sure to keep you mind, body, and soul chilled for the day. Knowing where the closest water ride is to you at any moment or knowing where our drinking fountains are located will make your day more enjoyable. The best places to get wet on the theme park side are Thunder Canyon, The Log Flume, and Bumper Boats. You can grab a park map at our park entrance or at the Information Center. There are also misters at a few locations throughout the park as well. Our guests usually have the best advise, and we would LOVE to hear from you! Do you have any additional tips or tricks on how to beat the heat this summer? Leave a comment below and enter to win FREE tickets! My advice is to purchase a silverwood cup and keep refilling it during the day! Getting there early is the best tip for beating the heat. Oh! And enjoy yourself! I love the park and all of the water park options at Boulder beach. Even the little have a place to cool down! 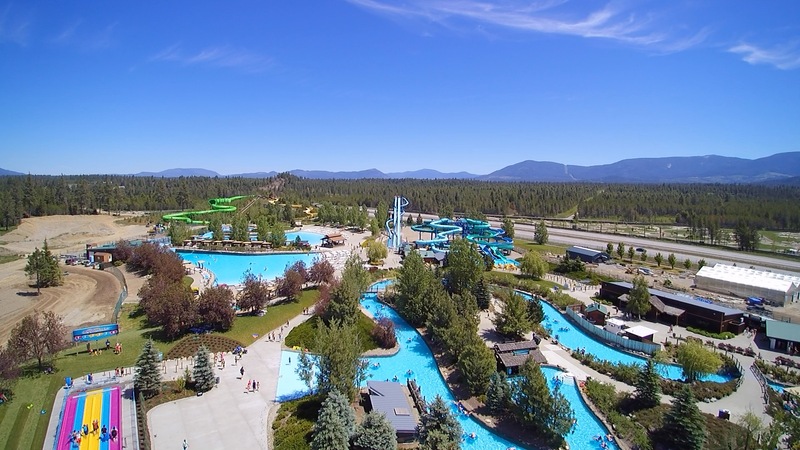 Bring along a collapsible water bottle, dress in layers, and we split our time with hitting ther rides early to avoid long lines, then jump over to the water park to float the lazy river to cool off. I am so excited to visit the park in just a few weeks. Where can I find information about coming for just an evening visit? We are planning a trip next week and we will be using these helpful tips to beat the heat. We will bring reusable water bottles! Taking the kids in a couple of weeks before school starts. It’ll be our first time visiting. Thanks for all the tips! Get there early and make sure to go on the big family tube slides. They are the best! My advice is to get there early and make sure you hit up the family tube slides because they are fantastic! !